Internet if full of timeshare scam stories from people who tried to sell their timeshares and ended up spending hundreds to thousands of dollars to unscrupulous timeshare brokers who are promising to sell timeshare scam properties. I have created a simple list of warnings to avoid falling a victim of fraud when trying to get rid of your timeshare. FEES IN ADVANCE - Selling a timeshare has a very similar process as selling a house. When selling a house you don´t pay any upfront fees; it is the same case with timeshares. Beware of anybody asking you to pay fees in order to cover closing costs. COLD RESALE CALLS - Only trickery companies call consumers claiming to have a buyer waiting to purchase your timeshare. they use pressuring techniques and create a sense of urgency to get money from people. COLD CALLS FROM TIMESHARE FRAUD RECOVERY COMPANIES - Believe it or not, if you paid a company to sell your timeshare, it is most likely you will receive a call from a timeshare fraud recovery company to "assist" you recovering any money you paid to the "sell timeshare scam"resale company. Of course, you need to pay a "small fee" in order to obtain help. Never give away your credit card number to a telemarketer or anybody claiming to have a buyer for your timeshare. Don´t wire any money. Credit card companies might help in the dispute process; in the case of bank deposits or wire transfers, you are on your own. Don´t fall for timeshare presentations where high pressure is used as a closing technique. Never sign a timeshare contract on the spur of the moment. ask for copies of the contract, read it, sleep it over and the next day, if you really liked the timeshare, read the contract again. Why would someone buy a timeshare for more than it is worth when all they have to do is turn around and buy it for pennies on the dollar on EBay? Is there anyone wishing to buy your timeshare for more than what you paid for just because you don´t want it? How could I sell timeshare scam when I don´t want it either in the first place? Next time you pick up the phone and someone tells you they will sell your timeshare for a profit, do yourself a favor, hang up the phone and report it to the proper authorities. You are helping yourself and other people from becoming victims of timeshare fraud. There is not a "hot market" for timeshare. On the contrary, timeshares are very difficult to sell and barely hold any financial value on the resale market. Remember that to cancel a timeshare you don’t have to pay an upfront fee. Mexican Timeshare Solutions works under a contingency basis and only collect fee if the contract is fully cancelled, otherwise, no fee is charged. Contact MTS for a free consultation and s full advice on your timeshare matter. It’s time for you to get away from that contract. Leave your comment below and share your opinion with us. 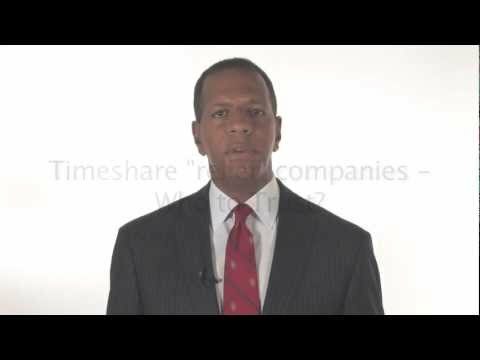 To know more about timeshare scams go to: How to rescind a timeshare contract? Llevamos mi esposa y yo alrededor de 4 años con la membresia de nuestro tiempo compartido, de lo cual solo hemos logrado usar una sola ocasión, el problema es que nunca hay vacantes y nos salen siempre con que debemos de subir de nivel nuestra membresia, hemos intentado de cancelarla pero es imposible,no sabemos como salir de esto, nos urge. Hi there, At first i tried this many times, i posted my timeshare on ebay , amazon , an another trade and sell platforms, even i wanted to give it away for free but nothing happened for good, is very difficult to get out of a timeshare , so for own experience just stay away from timeshare business. Timeshares are not for everyone, the can be a terrific purchase for some families, as they also can be a giant rip off for others. Before purchasing a timeshare, make sure you fully understand how they work, otherwise you'll be stuck with something that it's not easy to get rid of. If you take a look around the internet, you will find a lot of people selling their timeshares, all of them are scam. Thank you so much! We had to cancel the timeshare in Mexico, within the 5 days after signing the contract. We did it and I’m still furious about how much time and energy it took from us. I support you in posting this information. The timeshare methods are evil and people should be aware of that. We went to a timeshare presentation at el cid resort, we were very tired and we only wanted to go back to our hotel, we bought a membership because the seller told us that we could cancel the membership at the end of the day in an easy way but if we wanted the gifts we have to attend the presentation . We got back to the resort the next day in order to cancel our timeshare contract as the seller told us but they told us that the person in charge was not able to receive us . We did not have any communication with someone until we got back home and he told us that we couldn't cancel our contract., what a BIG timeshare scam! Timeshares are, and always have been a a legal scam. But let's take an average sale price of $25,000- Multiply that by 52 weeks in a year, and they are are basically selling 1 bedroom apartments for 1.3 million dollars each. Then, add to that they charged each of the 52 owners $700 , or more, a year in maintencance fees. That's another $36,000 per unit every year to the Corporation.